For Service Part inquiries and orders, contact our master distributor, LGS Group, Inc.
Where do I find the configuration number for my Gateway product? Also known as a Conf., Cfg., Cal. or programming number. It is located on the side of the module, the right-hand side sticker up at the top. 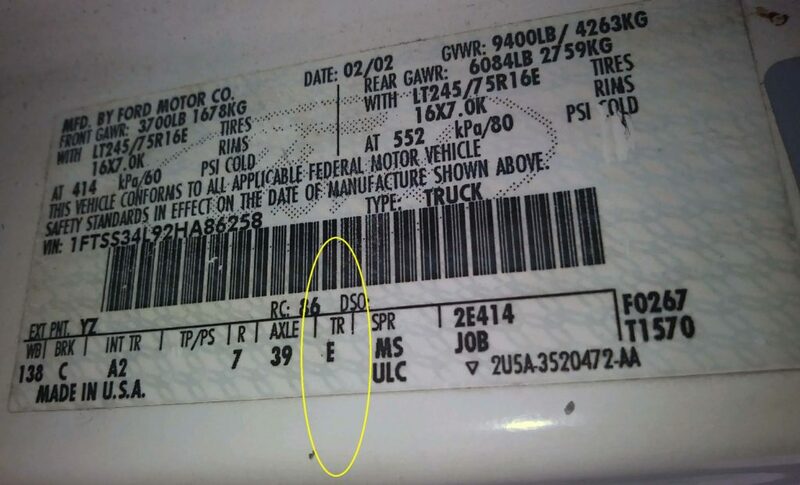 How can I tell if my Ford Econoline has a transmission code of E or U? The transmission code is noted on the VIN label. Below is an example photo with the transmission code circled. If the transmission code is an E, then when the doghouse is pulled off, there should be both a GREY CIRCLE 4-Pin connector and a square connector. We will connect to the GREY CIRCLE. If the transmission code is a U, there will be two BLACK SQUARE 16-Pin connectors. If it is a U, then we will need to verify that there is the black square with the 16-Pin. View a sample transmission diagram for reference. If the transmission code is none of the options listed, then you will NOT need a trans harness at all. 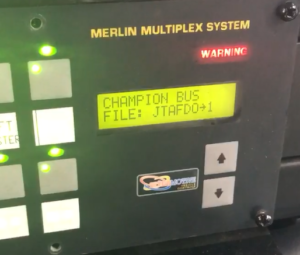 How do I find the Merlin MMS file name? Turn the vehicle ignition on. Watch the Intelligent Switch Panel screen. After approx. 5 seconds, the file name will appear. If you miss the file name, turn off the ignition and repeat steps 1-3.